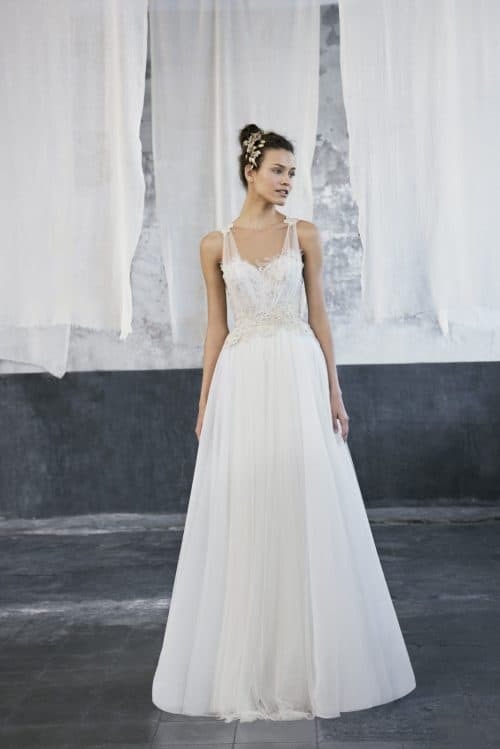 Plumeti tulle wedding dress with handmade sewed applications. 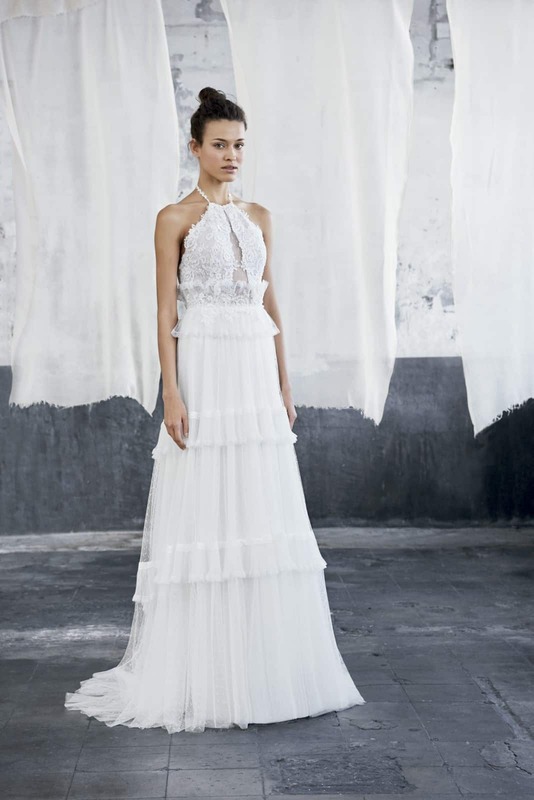 Plumeti tulle three-tier skirt with a ruffle pleated made with illusion tulle. The dress is completed with a pleated ruffle waist detail with applications.